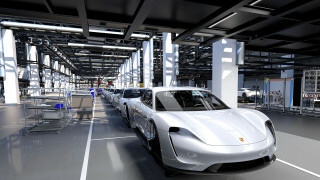 Porsche plans to include three years of free DC fast charging from Electrify America with its new Taycan electric car. For now, it's a good thing the car isn't arriving too soon, as Electrify America has had to shut down many of its CCS Combo fast charge plugs over safety concerns. 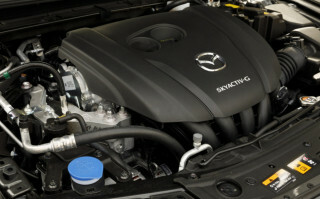 Mazda balances conflicting priorities (and regulators) in its strategy for fuel-efficient and electric cars. And a new study reveals which countries are leading the race for electric cars. All this and more on Green Car Reports. In an effort to compete with Tesla—but without building its own complete fast-charge network—Porsche is planning to offer three years of free fast charging at Electrify America DC fast chargers for those who buy its upcoming Taycan electric car. The Taycan is expected to be the first car that can use 350-kilowatt fast chargers when it goes on sale late this year. 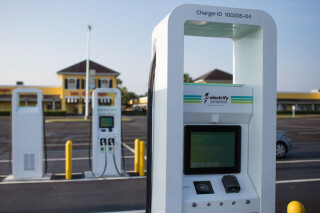 Electrify America had to shut down those chargers this week, however, after safety concerns arose over similar chargers in Switzerland. At a recent preview drive, Mazda revealed more on its plans to bring diesels and an electric car to the U.S., but doesn't plan any hybrids for now. A new study reveals that the U.S. places second after China in adoption of electric cars. Some other findings, however, are more surprising. Mercedes-Benz revealed plans to show a new concept car later this year that will demonstrate how cars can avoid crashing altogether using artificial intelligence. Finally, Ford plans to offer owners a new loyalty rewards program similar to those from airlines and grocery stores, to encourage customers to bring their cars back to the dealership for service.